The most popular twins, Kiki and Lala are two twin stars born on Omoiyari Star in the Yume Star-Cloud. Everyone have their own comfort object to make us feel secure. Kiki and Lala also have one. Teddy Bear in Blue and Pink for each. Hug and sleep with Teddy Bear. 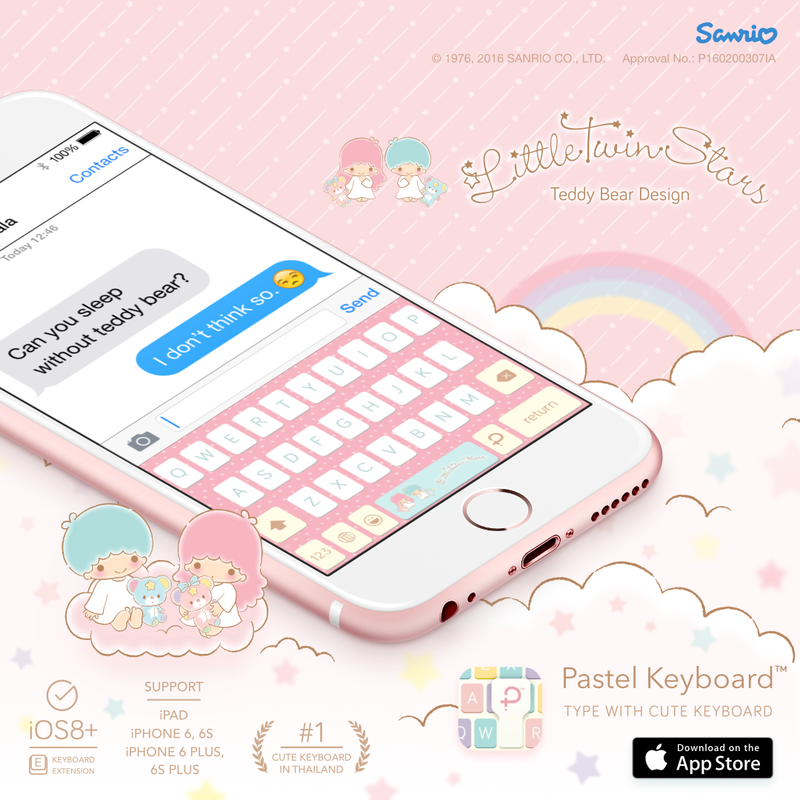 Put Both of Kiki, Lala and their teddy bear on your keyboard.